I know I shouldn’t be overhearing other peoples conversations. But there are times it can’t be helped. This is how it went down. I was at a restaurant and there was this lady and her friend talking rather loudly. She was talking about how horrible it is that a young lady made the choice to not keep her virginity. And because she decided to do something that was a sin, she didn’t want this young lady to be at her home or to be around her kids. Now from my understanding this woman and her friend must be Christians because of the way they talked. But when listening to them I also didn’t hear anything that would show Christian love and concern towards this young lady. If she did, she would understand that the flesh is weak and that ALL of us have come short of the glory of God. I couldn’t help but wonder if they thought they were beyond sinning and have ever made a bad choice in their life. I know I made many bad choices. I left home when I was a teenager and became pregnant when I was 17. My husband and I got married and we are still married to this day. I knew I was doing what I shouldn’t have been doing. But what was great is that the pastor at my church in my home town showed nothing but love and concern for me. He never lectured me or treated me like I was beneath him. I have a feeling that if I had these two women in my life at the time, I would have looked at myself in a different way. But because Pastor Randy knew what I needed was someone to be there for me and to help me. He told me that I made a mistake, but God doesn’t. Now we had to make the right choices. It gets me that people think that just because they are Christians that they are better than others. They have no right to look down on others. They should be lifting them up and being there for them. Not one of us is perfect. I have known many people and some were those who I thought were friends that thought they were better. Just because a person does things different or has a different life, doesn’t mean they are lesser than anyone else in God’s eyes. It bugs the bajilbbers out of me when people put themselves up on a holier than though pedistal and look down on others who have less or who made choices that they never would have made. I have had my fair share of bad choices in life and in friends. But I can tell you that if this young lady that was being shunned and looked down on came to me, I would tell her that no matter what, God loves her. She has made bad choices, but we all have. If someone treats you like a lesser person, you don’t need them in your life. They aren’t friends, but Jesus is the best friend ever. Don’t let some snob or holier than though person ruin your day. They aren’t worth it. Love yourself, pray and do the best you can do. You don’t have to please this person or persons. Besides, you never know what skeletons may be in thier closet. And to these ladies that were bad mouthing this young lady. I would hope they get a grip and know that what they are doing is hurting this young lady. They aren’t showing the true love of God and it isn’t right to be talking about someone else in public like that. I was able to overhear the young ladies name and her circumstances because you decided to be loud mouths in a public restaurant. I would say, shame on you both. I know I shouldn’t have been listening to what these ladies were saying. 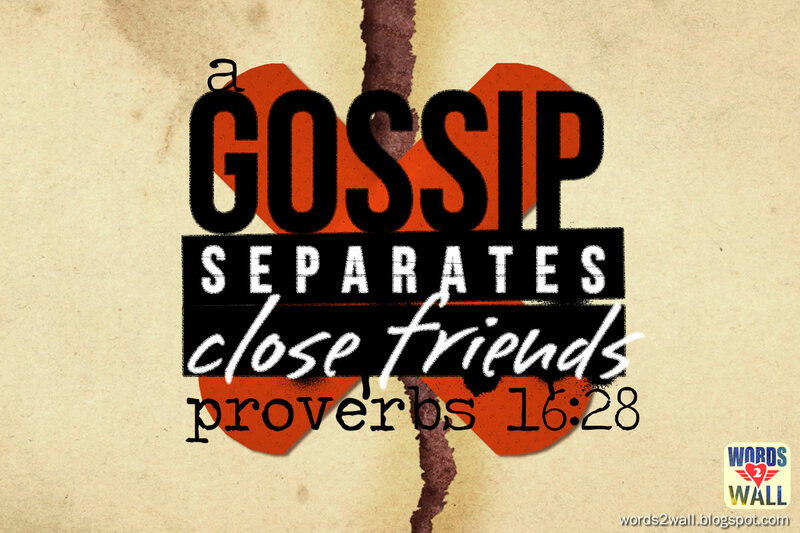 What I say about that is that they shouldn’t have been talking so loudly and gossiping about another. I was thinking about doing that Shirley. Alot of times I think people who judge others like these two did wouldn’t think twice about thinking this was about them.